What Is Celiac Disease In Children? Has the pediatrician just told you your kid has to stay away from pizza, breakfast cereals, and bread? Well, in all probability your child has celiac disease. As a parent, it can be stressful to figure out the ins and outs of celiac disease and how it affects your little one. But don’t worry. MomJunction is here to hold your hand and guide you through the labyrinthine world of celiac disease in children. Grains, such as wheat and barley, that your child consumes every day contain gluten. It is a protein that the body, under normal circumstances, can digest with ease. However, if your child develops a reaction each time he consumes gluten, he has celiac disease . If your kid keeps getting an adverse reaction to gluten-containing food, he suffers from celiac disease. After your little one consumes food, it goes into his stomach where it is digested. The chyme, as the thick liquid digested food is called, moves into the small intestine. The small intestine has tiny, finger-like projections called villi. These increase the absorption surface of the intestine and help absorb the nutrients. If your child has celiac disease, his immune system will become active each time he consumes gluten. This causes the body to produce antibodies, which damage and destroy the microscopic villi in the small intestine, leaving the body unable to absorb nutrients and vitamins. 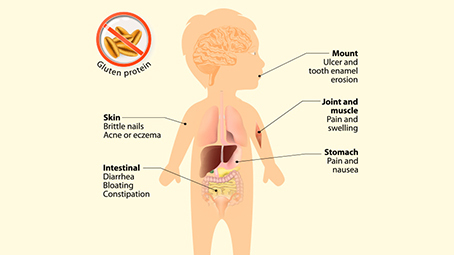 Every child suffering from celiac disease may show different signs and symptoms. While diarrhea and weight loss are the classic signs of the disease, most kids with celiac disease experience few or no digestive symptoms. Infants display very typical signs of celiac disease, such as swollen belly, chronic diarrhea, pain, and inability to thrive. Some children can develop itchy, blisters on the skin. These blisters occur on the buttocks, torso, scalp, knees and elbows. Medically, this condition is called dermatitis herpetiformis. Your child can get this rash even if he does not have any digestive signs and symptoms of celiac disease. Your child’s immune system protects his body from invading pathogens and other undesirable invaders. However, sometimes, the immune system begins attacking the body for no rhyme or reason. This type of condition is known as an autoimmune disease. That is exactly what happens when your child has celiac disease. The moment your child eats food containing gluten, the immune system begins producing antibodies to attack the gluten. These antibodies attack the lining of the small intestine, resulting in inflammation and damage to the villi . Doctors diagnose celiac disease in children based on the symptoms and blood test. If your child shows signs and symptoms of celiac disease, take him to the doctor immediately. Make sure you go armed with the medical history of your family and child, as the doctor will ask for them. What physical symptoms does your child have? How long does he have these symptoms? Does anyone in your family have an autoimmune disease? Is your child growing and developing normally? Depending on the symptoms your little one, the doctor will perform a physical test to check for anemia, emancipation, protruding abdomen, loss of sensation in the limbs, rash on the skin, and signs of vitamin and mineral deficiencies. In case, the doctor suspects celiac disease, he will recommend a blood test. These are newly developed antibody assays that have better accuracy when detecting antibodies. It is important to note that if your doctor recommends gene test, it will not help diagnose celiac disease. Instead, the test helps the doctor exclude your child’s probability of getting celiac disease. If you have a family history of this autoimmune disorder, the pediatrician will suggest your child too has it. He may have the genetic predisposition to it. Research shows people who have celiac disease have human leukocyte antigen region DQ genes. 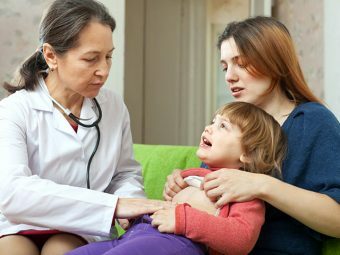 If your little one has symptoms of malabsorption, the specialist may opt for a biopsy of the small intestine. The doctor inserts a small, flexible tube down your child’s mouth until it reaches the small intestine. The tube then helps the doctor take tissue samples, which the pathologist examines under the microscope for damage. Celiac disease is a chronic disorder. Hence, there is no treatment to cure it. However, with proper diet management, you should be able to control the symptoms that your child experiences. Your little one will have gluten sensitivity all his life. Hence, he will need to stick to a gluten-free diet. This diet helps heal the damage to the villi in the small intestine, thereby alleviating the symptoms of celiac disease. By adhering to a gluten-free diet, you can prevent your child from developing complications in the future. It also reduces the chances of getting cancer. When your child goes on a gluten-free diet, he will suffer from deficiency of iron, calcium, zinc, Vitamin D, vitamins B6 and B12, and folate. The doctor will prescribe gluten-free multivitamin supplement to overcome these deficiencies. If your child experiences severe symptoms and does not respond favorably to a gluten-free diet, the doctor may put him on corticosteroids . However, this happens just in extreme cases, and usually, doctors refrain from putting kids on corticosteroids. 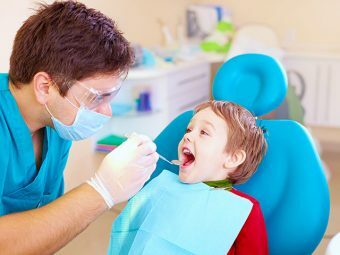 Even after the diagnosis and commencement of treatment, your child will have to visit the doctor for a follow-up every three to six months. This helps the doctor ascertain the nutritional deficiencies your child may have and also address the symptoms of celiac disease that he is still experiencing. 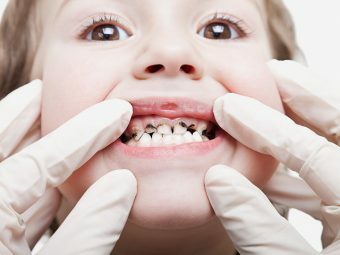 Once the doctor is satisfied that your little one is faring well and is no longer plagued by the symptoms, he will have to visit the doctor annually for a physical examination and blood test. Usually, antibody levels return to normal 12 months after getting on a gluten-free diet. But this can vary from child to child. It is important if your child has celiac disease, he stays away from foods containing gluten. Even if he eats a little bit of gluten, it could pose serious problems besides triggering the symptoms. As mentioned earlier, when the villi of the small intestine get damaged, the body is unable to absorb nutrients. This results in nutritional deficiencies, which, in turn, cause stunted growth and delayed development. Your child also risks being anemic and underweight. As the body is unable to absorb calcium and Vitamin D, your child may suffer from rickets or osteomalacia, which is a condition where the bones soften. Whenever your child consumes lactose-containing food products, he will experience pain and diarrhea. This intolerance will continue persisting even after your child gets on a gluten-free diet. Just in rare instances, do children develop the ability to tolerate dairy products. If you don’t keep your child from foods containing gluten, you risk him developing cancer. Such kids and adults are at a high risk of developing small bowel cancer and intestinal lymphoma. Sometimes, children show poor response to gluten-free diet. This condition is called non-responsive celiac disease. Doctors state the condition occurs when the diet is contaminated by gluten. They have also found that kids and adults with non-responsive celiac disease also tend to colitis, too many bacteria in their small intestine, irritable bowel syndrome (IBS) or poor functioning of the pancreas. Sometimes, the damage to the villi in the small intestine continues even after your child adheres to the gluten-free diet. This condition is known as refractory celiac disease. If your child continues experiencing the symptoms of celiac disease after six months of following the gluten-free diet, the doctor may prescribe corticosteroids to suppress his immune system and minimize the inflammation of the small intestine. He may also request further tests to ascertain the reasons for the symptoms . There is no way of preventing celiac disease. It is an autoimmune disorder that develops without a reason. So if your child has celiac disease, you can make sure the symptoms abate by putting him on a gluten-free diet. In addition, you can use the following tips to make it easier for your child to cope with his condition. Get a nutritionist or dietician to create a meal plan for your child so that he eats healthy and nutritious food. Make it a point to read labels carefully when buying processed foods. Many contain gluten which is not mentioned blatantly. Keep the gluten-free food separate from other foods to minimize the chances of cross-contamination. Wash the utensils and cutlery properly before you child uses them to make sure they are free of all traces of gluten. Use a separate toaster to toast your child’s gluten-free bread. Encourage your child to consume lots of fresh fruits and vegetables. This will prevent constipation. Make it a point to check your child’s weight weekly. This will help you determine that your child is getting adequate nutrients . It is important your child learns as much as possible about his condition. You can ask him to join a local support group so that your child realizes he is not alone with celiac disease, and there are many more children who have the same condition. Once your child knows the importance of sticking to his gluten-free diet, he will take more responsibility for what he eats outside the house. Speak to your child’s teachers to find out what type of lunch other children are bringing. If they bring cold lunches, pack similar lunch, but gluten-free, for your child. On the other hand, if the school has hot food in its cafeteria and your child prefers eating there, find out if there are gluten-free choices for him. By making him feel normal, the possibility is high your child will stick to the diet even at school. If your child eats gluten-containing foods as a part of socializing with friends, don’t get worked up. Instead, focus your attention on your child and check how he is feeling. Pay close attention to his symptoms so that you can take measures to resolve them. Make sure you plan a proper menu with gluten-free foods if you are hosting a slumber or birthday party for your kid. You can inform other parents about your child’s condition so that they too can plan their menus after taking into consideration your little one’s dietary needs. Maintain a food journal for your child so that you can jot down what he eats at each meal and as a part of his snacks. This way if the symptoms return after your child was symptom-free, you can turn to the journal to check the food he has consumed. Usually, if the symptoms return, it means your child has consumed something that contained gluten. If your child eats outside the house, make sure your question him carefully to find out what he ate. Write down everything that he says he has eaten in the food journal to maintain continuous and complete records. In case your child experiences symptoms even after being on a gluten-free diet, don’t wait. Consult your doctor immediately as the unfettered celiac disease can result in a host of complications. Since celiac disease in children is a chronic condition, you cannot use home remedies to cure it. However, the home remedies can help with the symptoms. Before you start using any home remedy for celiac disease, make it a point to speak to your doctor. Once he gives the go-ahead, you can start with the remedies. Aloe vera is a natural anti-inflammatory agent and hence, can prove to be a boon for your child. If your child takes it every day, aloe vera can reduce intestinal inflammation and also soothe the digestive tract by forming a gelatinous lining on the walls of the stomach and intestines. It is available as a juice and capsules. Give your child the juice. Although unappetizing, encourage your child to consume it. You can get probiotics supplements from health food stores. These supplements contain good bacteria that create a healthy gut environment. The U.S. National Institutes of Health reports that specific strains of probiotics may prevent damage gluten causes to the intestine when a person has celiac disease . Read the supplement’s label carefully to select a probiotics supplement for your little one that is free from gluten, and encourage him to consume it regularly. It can help with the symptoms of celiac disease. You can get soy-based probiotics if your child suffers from lactose intolerance. As strange as it may sound, but paprika can help reduce the inflammation of the intestine. It is an anti-inflammatory agent that you can add to your child’s food to give it some flavor and also help his small intestine heal. Make sure you use the sweet paprika, though. Olive leaf extract is a wonderful immune booster and protects the immune system from assaults. Many anecdotal stories claim this extract can help kids and adults suffering from celiac disease when taken orally. You can give olive leaf extract to your child to see if it benefits him. Typically, goldenseal is not given to kids. So before you use this home remedy for celiac disease in kids, be sure to run it past your pediatrician. Goldenseal is often combined with Echinacea to create a soothing herbal blend for the digestive system. Goldenseal has anti-inflammatory and anti-bacterial properties that can help with the symptoms of celiac disease. However, make sure your child does not take the herb for long periods of time. Always give a break of 2 weeks to 2 months between courses. Give your child fish oil supplements. These supplements contain vital amino acids and also have anti-inflammatory properties that soothe the small intestine. Whole grains, such as legumes, flaxseed, and amaranth, are gluten-free and can easily be incorporated into your child’s daily diet. 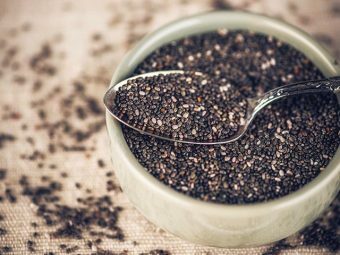 These grains are rich in fiber and can help treat celiac disease naturally. If your little one has celiac disease, teach him to chew his food well. This increases the chances of the stomach and small intestine absorbing the nutrients present in the food. And, when food is well chewed, it reduces the chances of abdominal discomfort and bloating. If your child has celiac disease, it will not be easy to handle the changes to his diet. You also will need a lot of patience, but once you see your child well again, it will be worthwhile. Remember if you want your child to be symptom-free and not develop complications, make sure he adheres to a gluten-free diet at all times. This is the only way you can control the symptoms and make sure your child grows and develops healthily and normally. If you find it stressful to handle your child’s condition, join a local support group. This will ease your stress as it allows you to mingle with other parents. It also will give you an opportunity to learn new tips and tricks to handle your child’s condition. Does your child have celiac disease? How do you cope with his diet and what steps do you take to ensure your child sticks to his diet? Feel free to comment below so that other parents can learn from you and incorporate your tips in their lives.